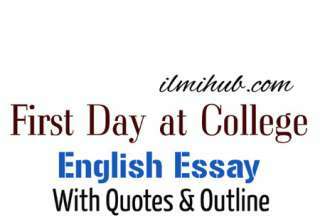 Here is My Favourite Passtime Essay with Quotes for Students of Matric, F.A, FSC, B.A and BSC. Essay on my Favourite Pastime with Quotations is Important for Exams. If the topic is Essay on Hobby, Essay on Favourite Passtime or Essay on my Leisure time Activities, you can write the same essay. 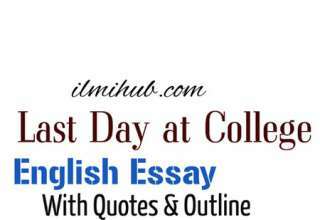 For more English Essays you can visit This Link. Hobby is useful work which is done in spare time for pleasure. Gardening is my favourite Hobby. It is a source of physical exercise and aesthetic pleasure. It keeps me in touch with nature and God. Hobby is a useful work which is done in spare time for pleasure without any monetary benefit. This occupation is quite apart from the regular profession. It is pursued only for recreation. After hard labour, hobby provides us a cheap source of entertainment and amusement. It saves us from the dull routine of life. It gives us an activity when we have nothing to do. There are many hobbies like gardening, stamp-collecting, coin-collecting, photography, reading, etc. Everyone chooses his hobby according to this taste and requirement. Gardening is my favourite hobby. I want to relax after a day’s hard labour. Gardening makes me forget my worries and refreshes my mind. And ideas dance on heartbeats and mind. I have a beautiful lawn in my house. Whenever I can spare time, I take interest in cultivating beautiful flowers in it. I have grown flowers plants of rose, lily and sunflower. The sweet fragrance of the flowers gives me great pleasure. There is always something fresh before my eyes. It keeps me healthy, happy and fresh for the day’s labour. It is a source of physical exercise and aesthetic pleasure. I have the tools of the gardener. I have to do a lot of work with my own hands. I prepare the land and manure it. I water my plants regularly and protect them for the extreme weather. I have prepared many beds in it. Each bed contains flowers of different shapes and colours. I have also grown vegetables for our daily use. So, we do not purchase vegetables from the market. Gardening is my passion. It inspires me to do something new. Whenever I cast a glance over my small beautiful lawn, my heart blossoms. With every new flower, there is new happiness. I keenly observe the process of grown and decay in nature and praise the Majesty of Allah. My hobby, gardening, keeps me in touch with nature and God. 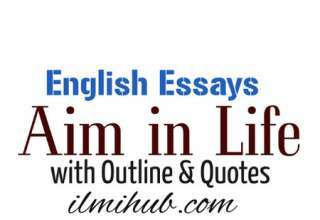 You May also like Essay on My Hobby with Quotations.